I live for climbing on a bike, but doing that opposite thing has some merits too. Descending can be fun, but just because you have a downward slope means you’ll have the time of your life. 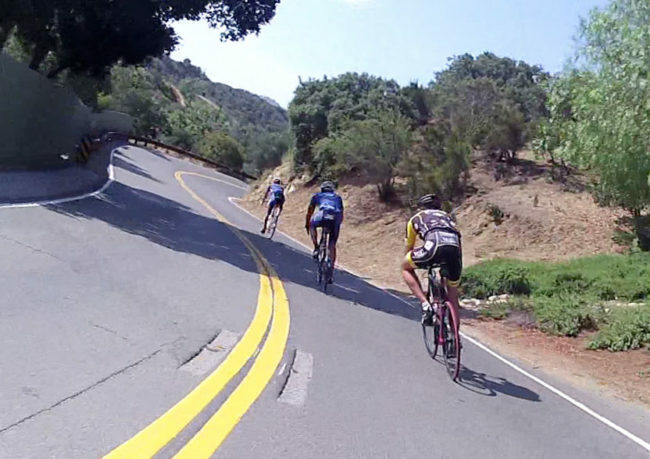 Old Topanga Canyon is easily one of my favorite roads to ride because as the name suggests it’s old. It’s serpentine route is owed to a time period where following the landscape instead of digging deep into it was more economical. While sometimes this leads to turns that have too much of a hairpin to it, the section from its peak down to where the road connects to its newer namesake is a rush. It’s a combination of banked turns, change of pace rollers and incredible scenery that makes this four mile descent feel like a roller coaster. When I do the typical Sunday ride with the totally sane Insane Bike Posse, we normally don’t ride the opposite direction on our beach but last week we reversed it. The funny thing about the timing wass that I was having problems with the front hub of my road bike meaning I’d have to pick one from my stock of slower gravel bikes. I use my steel bike normally as my commuter, but even though I have decent wheels on it, it just feels heavy and sloshly every time I ride it. Because I needed the wide tires on this bike to replace my torn tubeless on another, I thought this would be a great opportunity to see what this bike could do switching from 37’s to 32’s and taking the racks off. At first, I overshot a couple of curves as this felt like a new bike, but from there steel became my best frame. I could really dig into the turns and had the confidence to empty the tank. One member of our group got out ahead at the start and you could feel the vibe at the front of the pack was to chase him down. Three of us worked together (plus one wheel sucker) to keep our speeds up pretty high which just added to the fun. I was surprised that my wide knobbies were able to keep up with the road bikes, although accelerating took quite an effort. Zipping by the oaks and all the different rock formations made this feel like an amusement park ride more than anything else. With about a mile left to go, our numbers prevailed as we caught Victor at the front, but it was so much fun you want to do it again. 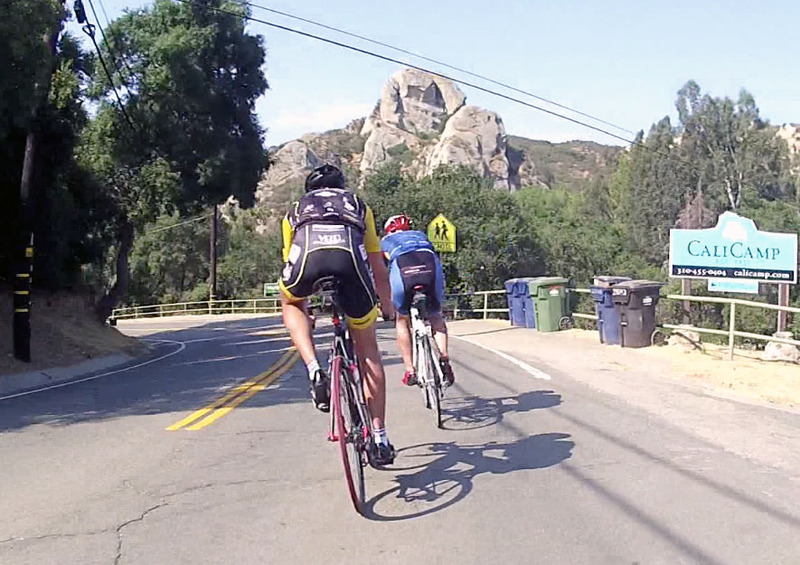 Being able to ride the Santa Monica Mountains is simply fun and it’s the gift that keeps giving. What is Safe Biking Around a Rattlesnake?